The International Titanium Association (ITA) is seeking nominations for an individual within the titanium industry who has exhibited outstanding qualities of leadership, and has been directly responsible for accomplishments that positively impact the titanium community. This award is intended to distinguish meritorious work in an area too little acknowledged. Because the nomination power is held exclusively for ITA members it is important for ITA members to participate in this program. Members are entitled to suggest anyone within the titanium arena (ITA member or non-member) who would be considered an excellent choice for receiving this esteemed award. Companies may decide to nominate several different candidates for consideration. All nominations will be presented to the ITA Awards Committee. Please include any supplemental materials (letter of recommendation, certificates, etc) that would be beneficial for the committee to review in determining the final nomination selection. An appropriately trophy will be presented to the winner at the annual TITANIUM USA Conference. The 2018 TITANIUM Conference held in Las Vegas also served as the venue to honor Russell Gordon Sherman, who developed alloys and heat treating protocols for the titanium industry and pioneered the high-volume production of titanium aerospace fasteners, with the 2018 Lifetime Achievement Award. Sherman was involved in developing titanium alloys and heat treating protocols to raise the mechanical properties and usability of the “wonder metal” during the formative years of the titanium industry, according to Frauke Hogue. Sherman presented the initial findings from his research at Titanium Metals Corporation of America (TIMET), Henderson, NV, at the ASM’s convention in Philadelphia in October 1955, a paper titled “The Heat Treatability of Ti-6Al-4V.” The backdrop to his research work came during the Cold War years of the 1950s, when the United States and the Soviet Union were vying for supremacy in aerospace. DENVER, Colo. --- International Titanium Association (ITA) is pleased to announce 2018 Lifetime Achievement Award recipient Russell Gordon Sherman. 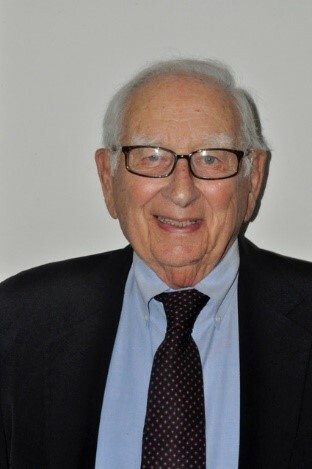 Sherman developed alloys and heat treating protocols for the titanium industry and pioneered the high-volume production of titanium aerospace fasteners. The ITA will formally present Sherman with the award at the TITANIUM USA 2018 Conference and Exhibition, Oct. 7-10 in Las Vegas, Nev.
Frauke Hogue, Fellow of American Society for Materials (FASM), an ITA educational instructor and an executive and metallographer with Hogue Metallography, Pacific Palisades, Calif., in a nomination form for the prestigious award, lauded Sherman’s distinguished career. “The entire titanium industry has benefited from Sherman’s research into developing a higher strength titanium (the workhorse Ti-6Al-4V alloy) through the heat treatment of solution treating and aging,” Hogue wrote. According to Hogue, Sherman was involved in the development of titanium alloys and heat treating protocols to raise the mechanical properties and usability of the “wonder metal” during the formative years of the titanium industry. He presented the initial findings from his research at Titanium Metals Corporation of America (Timet), Henderson, Nev., at the ASM’s convention in Philadelphia in October 1955, in a paper titled “The Heat Treatability of Ti-6Al-4V.” The backdrop to his research work came during the Cold War years of the 1950s, when the United States and the Soviet Union were vying for supremacy in aerospace. Hogue also recalled that later in Sherman’s career, during the 1960s and into the early 1970s, he worked in the industrial fastener industry where he pioneered high-volume production techniques and heat treating of titanium fasteners for the aerospace industry. This was a time when Boeing needed thousands of fasteners for its 747 commercial jet. A resident of Santa Monica, Calif., and still active as a consultant in the titanium industry, Sherman said he’s proudest of his accomplishments during his early years at Timet. “This was a time when no one knew anything about titanium,” he said during a telephone interview. He affectionately described this period of his career as ‘Titanium 101,’ when he and colleagues had to teach themselves about the metal’s properties and its vast potential as a strategic material for military and industrial applications. Sherman was born in Baltimore and lived in Norfolk, Va., and Philadelphia. He served in the Army during World War II, in the European Theater, and was once again called into active duty during the Korean War. He was honorably discharged from military service in August 1953 and soon after landed a position as a metallurgist with Timet.